Can A Beer A Day Keep The Aging Away? 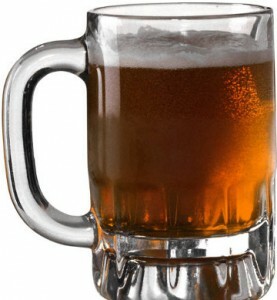 Did you know that the third most popular drink after water and tea is beer? Yesterday, during relaxing while browsing, I bumped into an article on Forbes which was more or less talking about the health benefits of a moderate beer consumption, mentioning that beer can be beneficial with some of the most common diseases that relate to aging. That was enough to make me start looking for the components of beer and whether they can have a positive effect on the skin, too. So, I found out on Wikipedia that the yeast, which is one of the beer ingredients, contains important nutrients such as magnesium, selenium, phosphorus, B vitamins and others. Magnesium’s adequate levels in the body guarantee for a healthy skin while selenium protects skin’s elasticity and quality but also serves as a sun protector. Vitamin B complex helps you have a glowing, healthy looking complexion and also prevents the development of acne. So, a moderate consumption of beer can no way be harmful for your skin but I can’t really say whether the percent of the above ingredients that a glass of beer contains can make a big difference in the looks of your skin if you consume it daily. Thus, if you are not a big beer fan or you can’t just start drinking beer expecting that your skin will glow soon enough, there is always a wide range of foods which can give you some of the same anti aging benefits. Also, bear and not beer in mind..oops 😉 that alcohol over consumption brings the opposite results, like making your skin more sensitive to aging and looking dull. Cheers.. and Merry Christmas to you all!